Probiotics seem to be the latest fad, a buzz word and many are quick to attach marketing tactics to capitalize the growing sensation of probiotics. While probiotics many be “new” to the marketing forum, it certainly is not new in any sense of the word. It has been in a quiet, timeless existence. Its importance ignored or downplayed until recent years. The alarming decline in general health cannot be ignored, as poor digestive systems abound and become more and more apparent. If we cannot properly digest food, how can receive the vital nutrients and enzymes needed for vitality, energy and quality of life? Based on this reasoning many health practitioners agree; most diseases begin in the gut. The root word biotic, originates from Greek word bios, meaning life. Probiotic literally means FOR LIFE. With this understanding, we can embrace the bacterial kingdom as the base of all life. They are responsible for making nutrients available to the body. Good bacteria fight off bad bacteria through the use of natural antibodies that they produce. Their intent is protection against harmful bacteria. 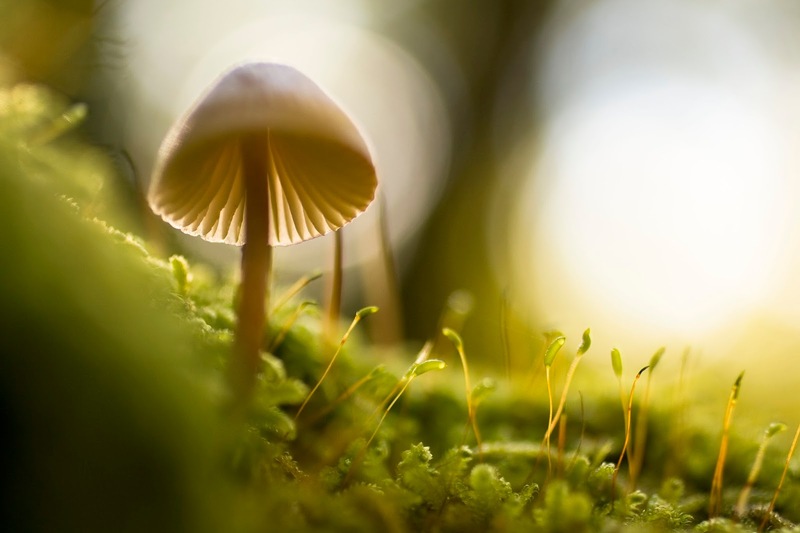 They produce life giving enzymes and lactic acid as a means of destroying harmful bacteria and fungus. The balance of good bacteria and bad bacteria should be 85% to 15% respectively. Once this ratio is out of balance, a condition called Dysbiosis, all manner of diseases start to manifest in the body. When putrefactive bacteria take control of the bowels, toxic material is released into the body’s environment. We must replace good bacteria on a daily basis and supply our friendly allies in their fight to keep us vital. What Causes disruption in the Ratio Balance? Good bacteria are jacks-of-all-trades. Their job is not limited to the defense and offense of unfriendly bacteria. They create beneficial compounds and essential nutrients. They regulate and enhance overall bowel function, including elimination and assimilation of nutrients. This process enhances utilization of nutrients from food supplies and reduces immune stress by reducing bowel toxicity. Nearly 400 species of bacteria live the digestive tract. They account for at least 4 pounds in body weight. This internal ecosystem exceeds the number of human tissue cell which is estimated to be 100 trillion. You’d be surprised to know that good and bad bacteria live in the intestinal tract simultaneously and enjoy a complex relationship for mutual benefits. In a balanced environment, they keep each other in check. An example would be; small colonies of candida yeast in the gut digests sugars and release vital enzymes as a byproduct of their work. Friendly bacteria such as L. acidophilus prevent the candida yeast from over colonizing and spreading. If the ratio balances of good and bad changes, the candida can over colonize, disrupting gut health. Supplementing is an investment in Health, but not all products are created equal. We cannot seem to escape deceptive marketing. Being informed as a consumer is your best protection against wasted money and ineffective or even harmful products. While many probiotic supplements may boast of billions of count of various strains of bacteria, it’s so important to understand that counts are not where concerns should lie, but rather the viability of the product. Dead bacteria are ineffective and most products go through pasteurization just before they’re packaged rendering them useless. Do high counts reflect a superior product as oft implied? No. The only and most important factor to consider in a probiotic is their ability to reproduce in the gut. To do this, they must be in their natural state, alive and survive a hostile environment to re-colonize. In order for a manufacturer to obtain these high counts, they must culture their bacterial strains in a Bio-reactor. Most bacteria grown this way are trademarked and patented. Now, you cannot trademark or patent a natural product, therefore, patented and trademarked probiotics are typically genetically modified. The million dollar question… can genetically altered probiotics re-colonize into helpful and needful bacteria? GMO bacteria will reproduce GMO offspring. Having their genes altered in a lab, it is a new species and not naturally-occurring. What are the side effects? This remains to be seen. I’m certainly unwilling to be a guinea pig! Does the body embrace these altered bacteria as friendly or recognize them as foreign and reject them? In my unscientific opinion, I believe our bodies are intelligent enough to recognize a “foreigner”. Currently, there is no evidence that genetically altered strains that do not exist in nature, have the ability to reproduce. Personally speaking, the concept of genetically altered microorganisms in my system does not bode well for my peace of mind. A viable product will be able to “on ferment”, in other words, ferment other foods. Your only guarantee, despite manufacturer promises, and good manufacturing certifications, is a certified organic probiotic. 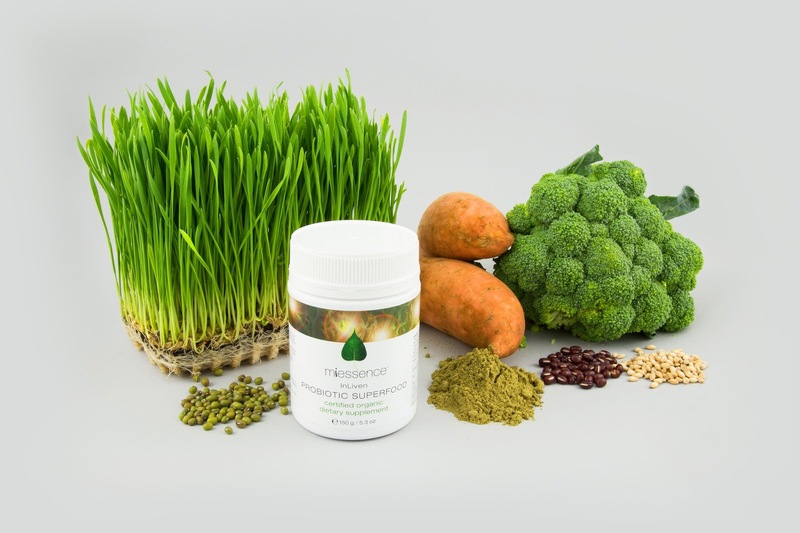 Miessence’s InLiven Probiotic formula stands in a class of its own in multiple ways. ~ It is the world's first certified organic probiotic. ALL 13 strains are certified organic. Non-GMO bacteria. ~100% Raw. No Heat processing. ~InLiven contains the complete Lactobacillus family of 13 strains combined with 26, 100% RAW, organic, whole foods for three weeks prior to bottling. During the preparatory phase, the formula is predigested (fermented) by the Lactobacilli making the nutrients instantly available for assimilation upon consumption. ~The Lactobacilli bacteria used in InLiven is the result of over 20 years of hand-cultured research by Czerral, the formulator of InLiven. Czerral Wheeler is well known for introducing Spirulina to the world market in 1979. He also, coined the term “Super Foods” in the early ‘80s, a reference to organic foods with a broad spectrum of nutrients. ~The Lactobacilli bacteria used in InLiven have been subjected to a large number of stressors (heat, cold, chlorine etc.) resulting in a “Super Family” of very strong Lactobacilli, unlike any others found in the world today. Because InLiven is a very hearty probiotic - it needs no refrigeration. ~InLiven is a powder. Just about all tablets on the market contain excipients. Excipients are fillers and binders that hold the main ingredients together. InLiven is a pure product. No excipients. ~Made FRESH, every 30 days and shipped directly to consumers. ~Wind-powered manufacturing facility, carbon negative shipping. Try the Vitality Program for 10 Days and Take The Vitality Challenge! Online, private Facebook support group led by professionals for all of your questions during your 10-day trial. Challenges start the first of every month unless noted. Purchase your kit TODAY and receive 45% off the retail price! This is a great way to experience the super food program which targets three vital areas; Alkaline for balance, Antioxidants for cellular rejuvenation and Probiotics for digestive support. If you’d like to learn more about Miessence, have questions about probiotics, leave a comment. Please visit and read our disclaimer and disclosure policy found at the bottom of the site.